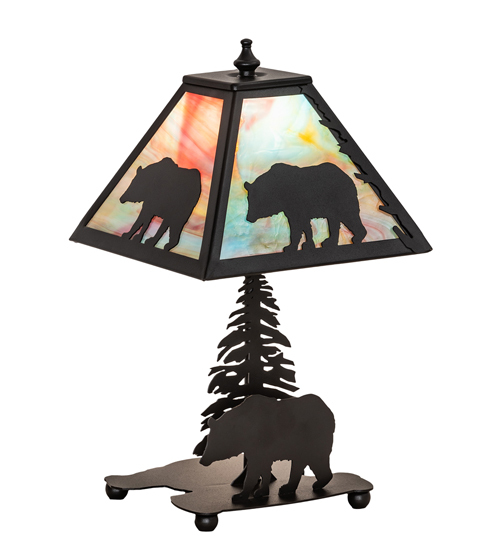 Description: Drawing inspiration from the wildlife and natural beauty in the spectacular Adirondack Mountains nearby, this stunning steel fixture depicts a bold Bear meandering through the woodlands. Beautiful ambient light is evoked through Amber Mica, which is complemented with a frame, decorative accents and hardware featured in a Cajun Spice finish. 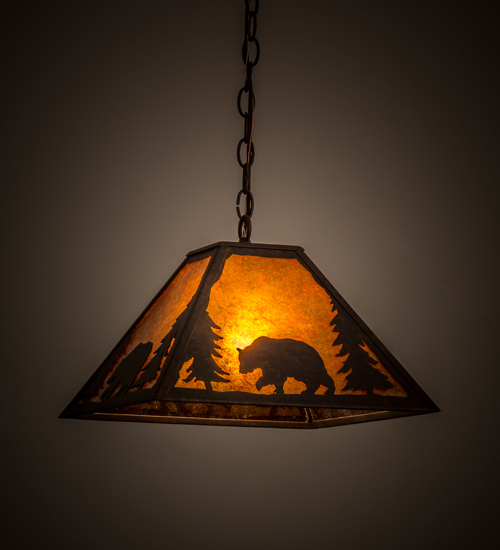 The rustic styled pendant is handcrafted artisans in our Yorkville, NY facility. Custom designs, styles and sizes are available, as well as dimmable energy efficient lamping options. The fixture is UL and cUL listed for damp and dry locations.